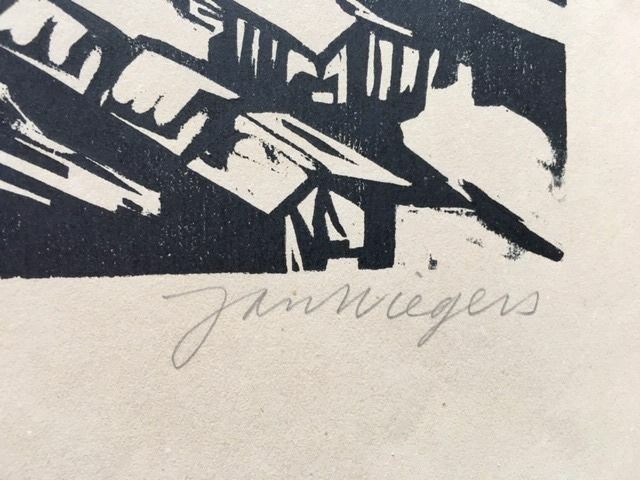 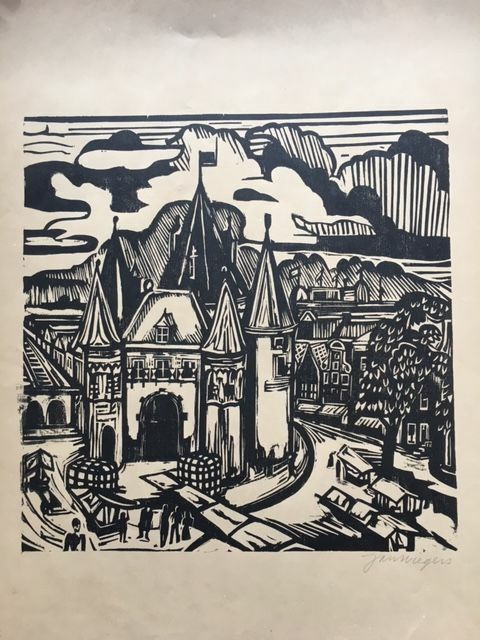 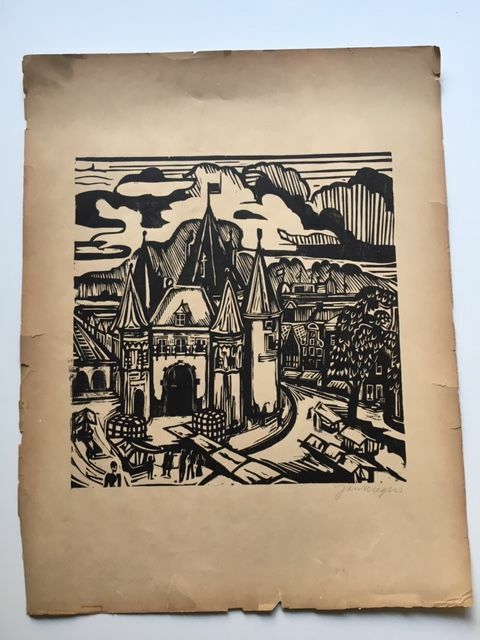 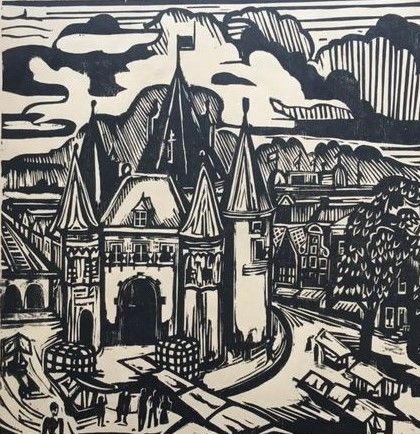 These dimensions of this well-known woodcut by Jan Wiegers, member of the Groningen Ploeg are 29.4 x 29.8 cm for image and 38.7 x 50 cm for the sheet. 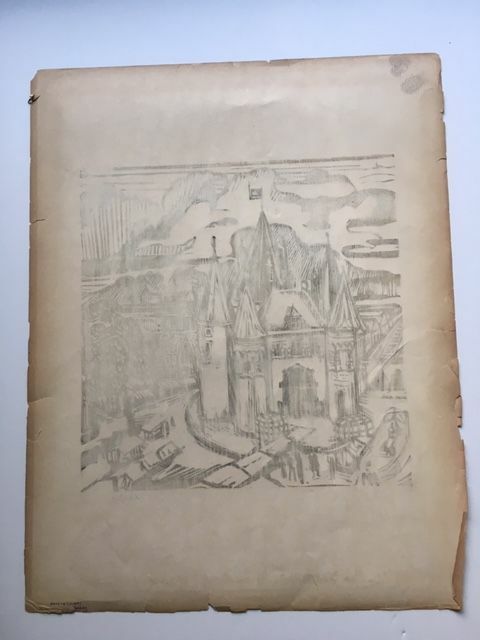 Condition: good, the paper is lightly tanned and the edges are torn here and there, but the image and the margin around it are not damaged. 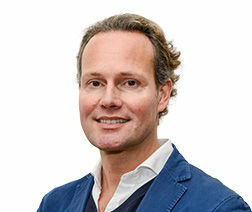 Sie können diesen Artikel auch beim Verkäufer abholen: Odijk (Utrecht), Niederlande.